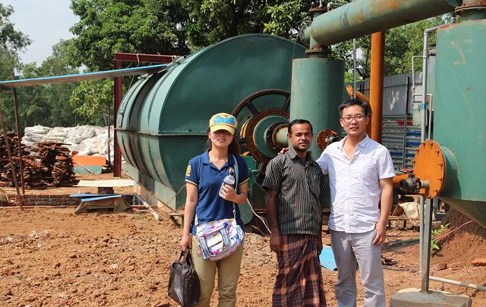 Our engineer Mr Zheng will finish installing one set of waste tire pyrolysis plant in Jamaica recently.This Jamaica customervisted many suppliers and investigated different pyrolysis plant .The safety and reliability of our pyrolysis plant can both meet the Jamaica customer's demand. For now we already have 33 sets of pyrolysis plant in South American market. 21 sets in Mexico,2sets in Ecuador, 1 set in Aruba, 2 sets in Guatemala,2 sets in haiti, 2 sets in Jamaica 2 sets in Columbia and 1 set in Panama. The waste tire pyrolysis plant for our old Jamaica customer is the new design pyrolysis plant he bought is continuously working , which can help our customer extract fuel oil, black carbons and steel wires from tires/plastics/rubbers and will get diesel from fuel oil. The waste tire pyrolysis plant production fuel oil ,carbon black and steel wire uesd widely. 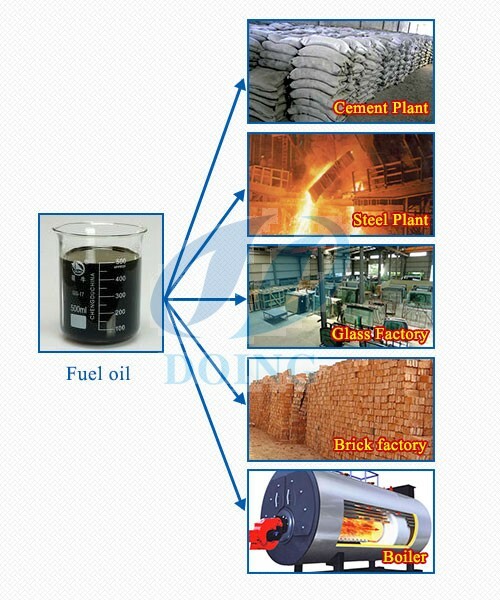 1.Fuel Oil (40% to 45%)The fuel oil can application to power plant factory,glass factory,cement factory and so on. The waste tire pyrolysis plant will can bright profit for our Jamaica customer. If you wanna to get more details about Our engineer Mr Zheng in Jamaica will finish Installation waste tire pyrolysis plant you can send E-mail to market@doinggroup.com. You can consult our professional engineer and specialized sales team with leave a message in below form.We will contact with you ASAP.You also can visit our factory in Henan,China.Get Detailed address.